Warhammer 40k – So I've been pretty consumed by Malifaux as of late. So it's time to take a short break. Prior to August 2009 I was really excited about the 5th Edition Rules for 40K. I've had my Space Marine list pretty close to completion for a while now and eventually will get around to finishing up the tanks and characters I have left. I'm really proud of my Twilight Ravens, chapter. Each marine has there name applied to a scroll on the base (which are all scientific names of birds) and each unit has specific markings and campaign badges. I've kept them very generic so I can use whatever codex suits my needs at the time. For the most part I like to use the White Scars rules or the Raven Guard rules. When I first designed my chapter they were based around the Index Astrates: Raven Guard article. I had acquired a toolbox full of random marines as partial payment for a commission, and wanted to build a force with them. At the time the Chaos marine codex was running rampant at every event I attended as well as in my local play group, so the bonuses against Chaos were a big deal. I also had a Witch Hunters list that paired well with the Marine ruleset I was using. Then 4th edition came out and 40K died for my play group and any stores that were running events. So my loyal marines were shelved unfinished. After jumping headfirst into Warmachine and subsequently being turned off by the direction the game was headed. I returned to 40K excited about the possibilities available. Unfortunately I had sold off my Wordbearers, Sisters of Battle, and a good chunk of my Black Legion ... leaving me with just my Emperor's Children and the piecemeal Twilight Ravens. 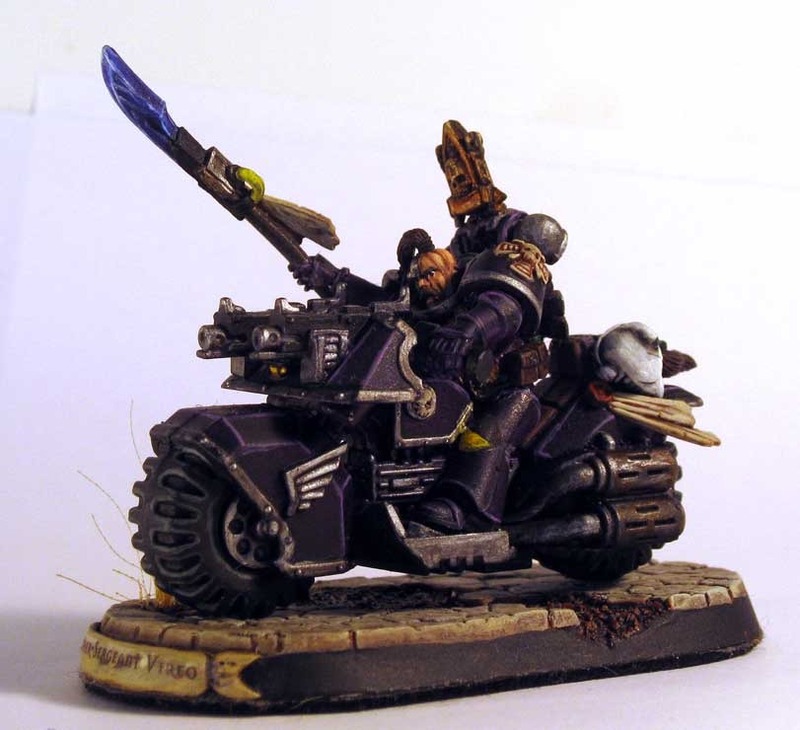 The current Chaos Marine book left me with a bad taste in my mouth, my heavily daemon based biker army wasn't viable any more and all the custom work I did to create an all Slaanesh force didn't seem like a viable option. So my marines got the spotlight and became my list of choice. As I was cleaning up and organizing my game room I realized that I had enough Slaanesh Daemons to field a force on their own. So I dumped them all into a Simple Green soak and stripped them down to bare metal. And then began repainting them, until August 2009. Then Malifuax came out and it became my game of choice, 40K got shelved again. And my daemons sat partially assembled and painted. 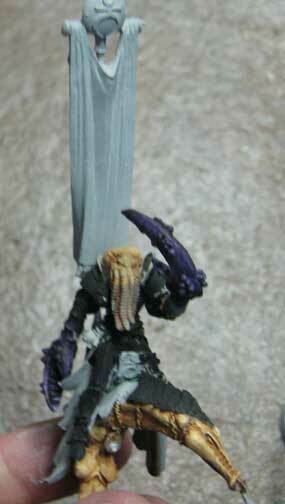 Needing a break to do something different I recently brought my daemons back out to work on them. 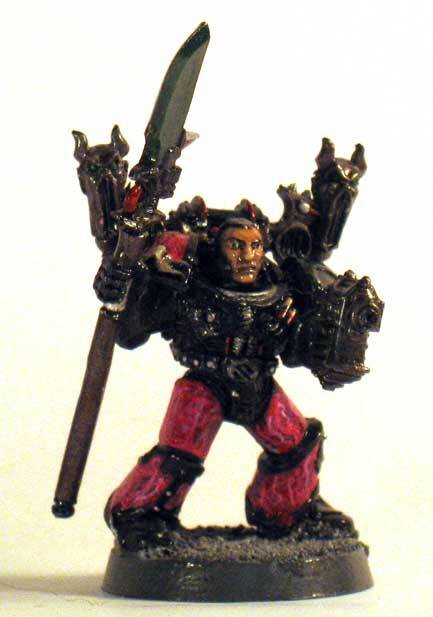 I began with the Ultraforge Pleasure Daemon. This model was a pleasure to assemble after the nightmare that was the Khorne Daemon Prince I recently put together. The pieces were simple to assemble and there were no huge chunks that needed to be removed. The only problems I found were a large gap in the arm assembly, and the slight "miscast" along the arms that required a bit of sanding and green stuff filler. The model isn't as detailed as the Forgeworld pieces, but it's still very impressive and fits the theme of my force. Once it is finished it will fill the roll of my Bloodthirster of Slaanesh.